I’m guessing that most of you will recognise the above picture. Certainly it is one of my favourites. What many people do not realise is that somewhere under the heap of bodies is an oval rugby ball. Poor old France lost the world rugby cup to New Zealand by one point. The game was a dour muscular struggle and I think the French can come home filled with pride at the show they put on. A couple of weeks ago, France played Wales in the semi final. I am not a rugby fan and to be frank some of the guys look a bit fearsome. France won by one point against a Welsh team reduced to 14 when the captain was sent off. I must confess to having felt a slight conflict of loyalty since Wales used to be part of Great Britain. Nowadays they are semi independent but they don’t hate the English like the Scots do. I don’t know if the Scots and the Welsh hate each other. They probably do, but at present they are united by their dislike of the English. 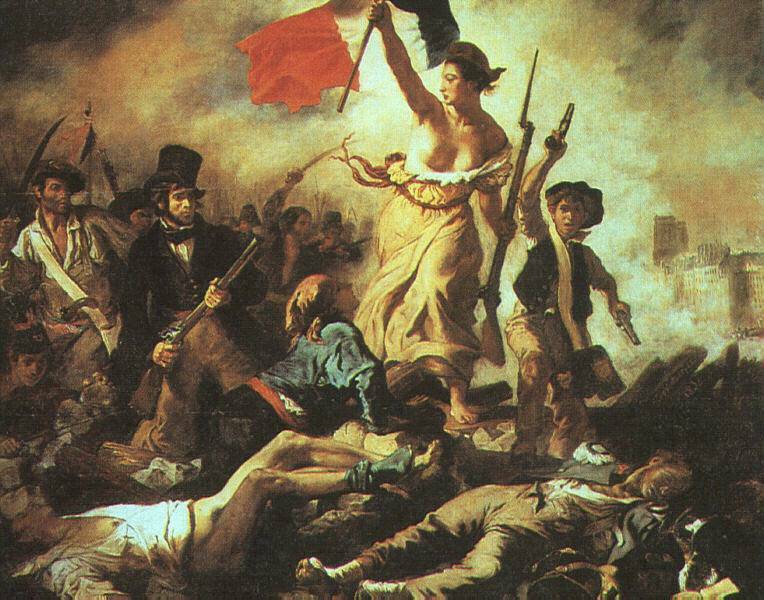 The whole business of the Delacroix painting of Liberty leading the people came to mind as protesters all around the world have set up encampments in capital cities to protest against CAPITALISM. Given the course of politics I guess there will soon be camps of folks protesting about lowercaseism. Shortly after the Popular Italic Front will split away and it will be the story of Great Britain all over again. What I didn’t know is that the figure of Liberty served as the sculptor Bartholdi’s inspiration for the statue of Liberty in New York. In researching this matter I came upon this fascinating photo taken in Paris. 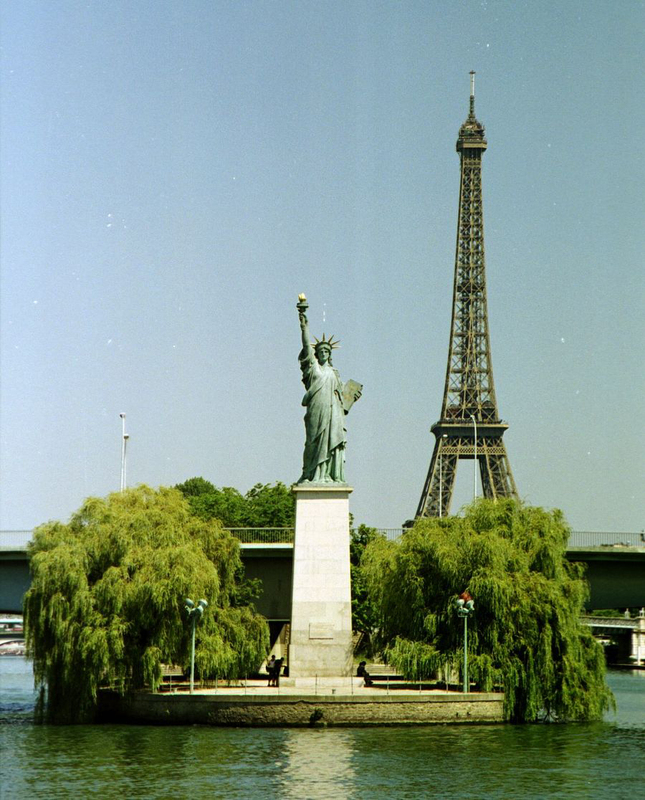 The link of course is that the underlying framework for the Statue Of Liberty was fabricated by Gustave Eiffel. Ooh, for a woman I can be a right old boring anorak. And that brings me to something you can all help with. (No – it’s not about my placing of prepositions.) My agent and manager (my dear friend Rosina) has been on to me about my blog. Seemingly it’s too wayward. I am a Romance writer but my daily wotsit can be about anything from Fine Arts to Old Farts. I must promo myself to the Romantic readers. It’s no good going on about carrots or world events. I think she’s right so let me give you a sneak preview of my up and coming Romantic blockbuster “The Billionaire’s Woman’s Secret Furrow”. She drew the ripened marrow to her belly. There had been moments among the carrots, and a brief longing around the courgettes. Since the multi billionaire Rogerico Fantastico had entered her garden she had longed for his seed of fertile wealth. Even her past lover – the Count of Monty Bisto- with all his beef was nothing. But how could she bring him to her furrow when he was busy controlling the world? Emma thinx: Molecool – two trendy atoms getting it together. This entry was posted in Delacroix, Eiffel, Emma Calin, Food, Funny blog, humour, Liberty, Romance Writing, Rugby by emmacalin. Bookmark the permalink.